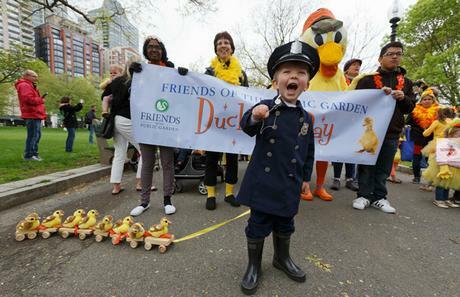 Celebrate Mother's Day in Boston's most beautiful parks at the Duckling Day celebration and parade on Sunday, May 12th. A beloved tradition for over 30 years, the event celebrates the children's classic book Make Way for Ducklings by Robert McCloskey. Every year, hundreds of children parade through Boston's most picturesque parks, dressed like characters from the story. Led by the Harvard University Marching Band, the parade will begin in the Boston Common at the Parkman Bandstand and end in the Public Garden near the famous Make Way for Ducklings sculptures. Bring your cameras - this is the most adorable event in all of Boston! · A goody bag for every kid - full of Duckling Day-themed items!